I was at PulpFest in Columbus, Ohio, this weekend and picked up a few books, though not as many as I would have liked. 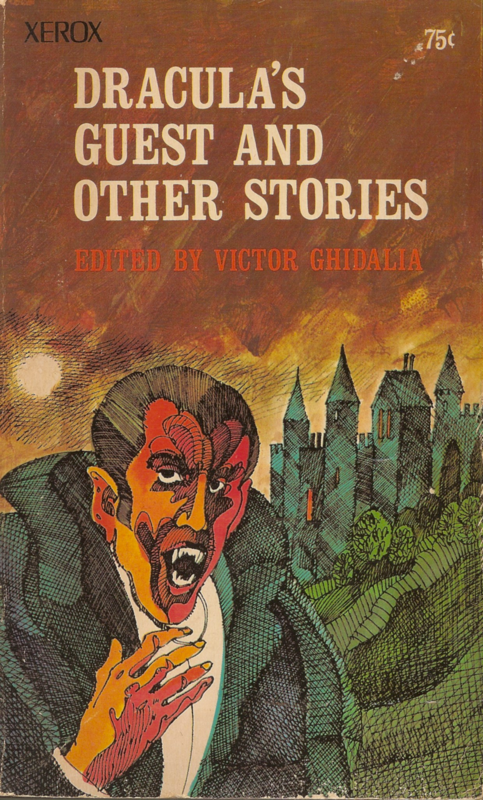 One is called Dracula's Guest and Other Stories, another collection from Xerox, edited by Vic Ghidalia and dedicated to Donald A. Reed, founder of The Count Dracula Society. There are six tales here. Half are in the public domain. 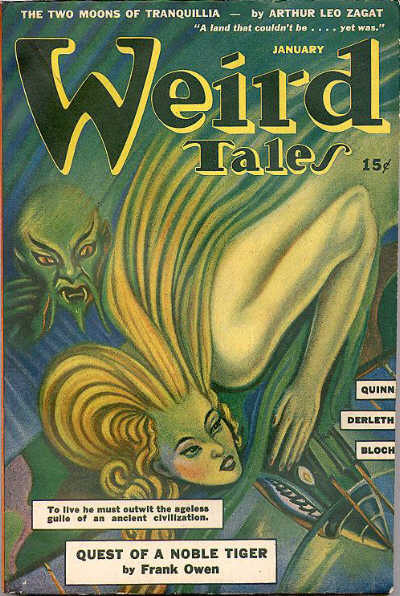 Two--the title story and "Bat's Belfry" by August Derleth--were printed in Weird Tales. 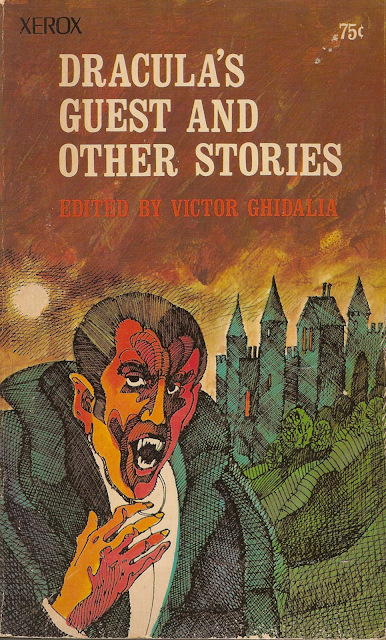 Derleth's story is noteworthy, for it was his first for "The Unique Magazine," written when he was fifteen in imitation of Bram Stoker's novel, Dracula, right down to the epistolary form. The cover artist is anonymous, but the editor is not. His picture and a biographical sketch appear on the back cover. Ghidalia's introductions appear in the front of the book and at the beginning of each story. 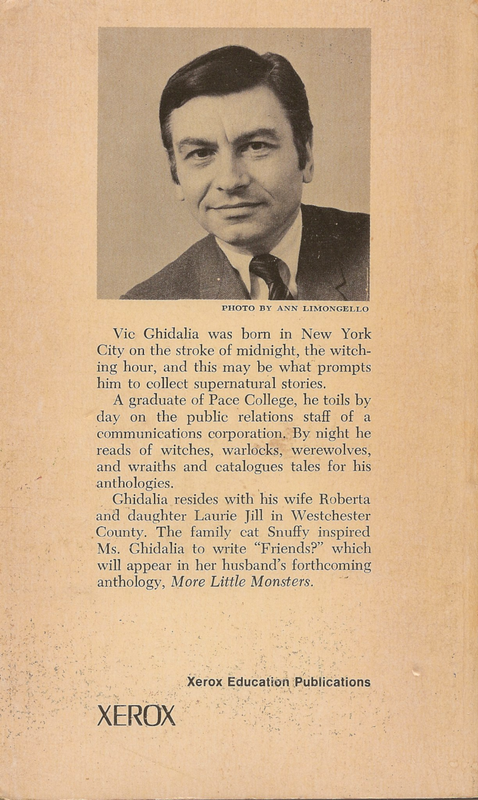 A biography and photograph of editor and anthologist Vic Ghidalia, the first I have found in my search for tellers of weird tales. 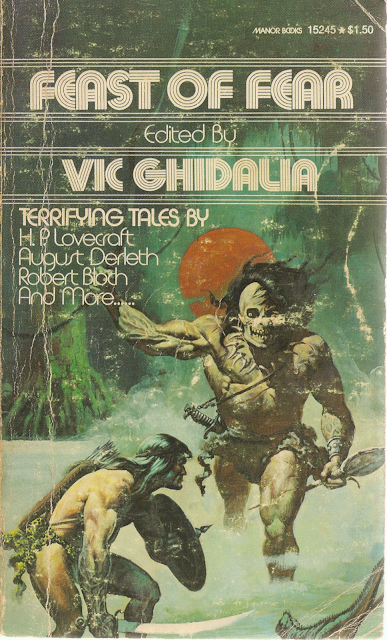 Feast of Fear, edited by Vic Ghidalia, a collection of ten tales, three of which are from Weird Tales. The name of the cover artist is nowhere to be found in this book or on its cover. I hear from a reader, though, that the artist is Ken Barr. Thanks to Bill Thom for the information. Don Congdon (1918-2009) was a longtime editor in the nation's publishing capital of New York City, arriving in 1935, and at the end of his life, running his own agency. According to the New York Times, he "developed an enviable reputation as a skilled editor, tough negotiator and shrewd judge of talent." He was Ray Bradbury's editor for over half a century. Other clients included William Styron, Jack Finney, and Evan S. Connell. Congdon landed himself in the news in 1966 when he sold the serial rights to William Manchester's "Death of a President" to Look magazine for the then-staggering sum of $600,000. A contentious lawsuit by the president's widow, Jacqueline Kennedy, followed. After changes were made to Manchester's manuscript, Mrs. Kennedy dropped her suit and the book and adaptation went to press. During the 1960s, Congdon edited several collections of romance, war, and horror stories. One of these was Alone By Night (1961). 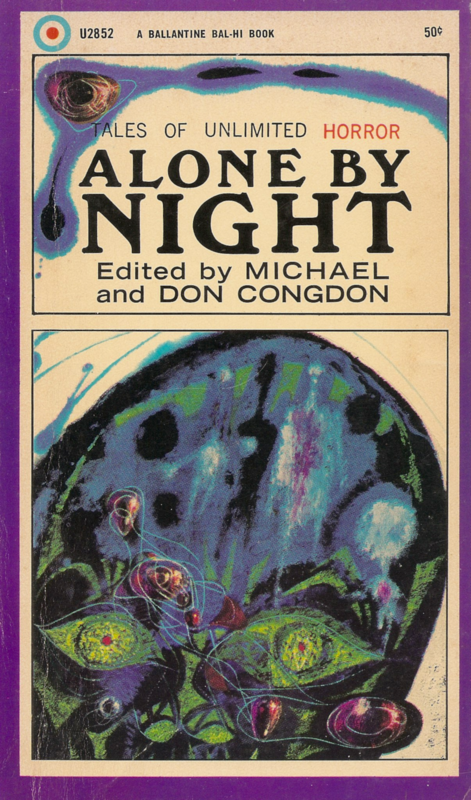 Published by Ballantine Books and co-edited by Congdon's son, Michael Congdon, Alone By Night went through several printings as late as 1967. The book includes eleven stories. The subject of each is a favorite monster or creature: witch, ghost, werewolf, vampire. Even succubi, imps, fiends, and phantoms are represented. Three of the stories are from Weird Tales. The most famous of the stories in this book is probably Richard Matheson's "Nightmare at Twenty Thousand Feet," which was adapted to television in 1963 as an episode of The Twilight Zone with William Shatner in the lead role. A final comment: Henry Kuttner gets credit by name for "A Gnome There Was," but the story originally appeared under the pseudonym Lewis Padgett. That was a name shared by Kuttner and his wife, C.L. Moore, who was also of course a teller of weird tales. Alone By Night, edited by Michael and Don Congdon. The cover artist is not identified, and I don't see a signature, but it looks like the work of Richard M. Powers. Best Short Shorts is a collection of short, short stories from Scholastic Book Services, published in several printings from 1958 until at least an eighth printing in 1967. There are thirty-five stories in the book, about one-third of which are from Collier's. Others are reprinted from This Week, Senior Scholastic, Seventeen, Liberty, and The American Magazine--what you might call mainstream titles. A few of the tales are from books or magazines of fantasy and science fiction. I'll list only those stories here. Finally, there are stories from tellers of weird tales, including "Code of the Underworld" by Jim Kjelgaard and "Two Were Left" by Hugh B. Cave. Plus 29 other short short stories. 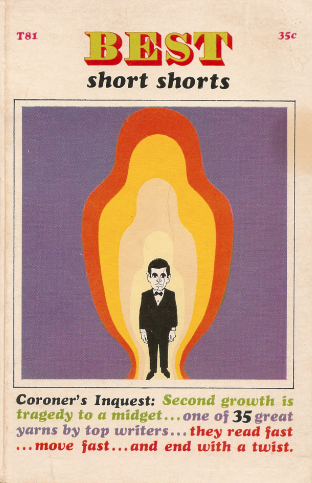 Best Short Shorts, edited by Eric Berger (1967), with some odd cover copy and an unknown cover artist. One fond memory of school days for Baby Boomers was the annual arrival of the Scholastic Books catalog and order form. For little money, you could order cartoon books, puzzle books, children's mysteries, anthologies, mythology, non-fiction, and even classics in paperback. After a short wait, the book was yours. There were other companies that published books specifically for the grade-school market. Xerox was one of them. Who knew as a child that for a mere 75 cents, you could lay your hands on what amounted to an issue of the long-defunct magazine Weird Tales? Yet that's just what The Mummy Walks Among Us and other books like it represented. Edited by Vic Ghidalia, The Mummy Walks Among Us is a collection of stories, seven in all, about the undead. 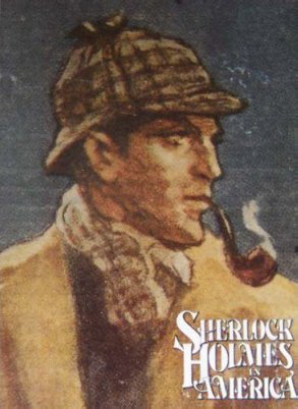 Six of the book's tales came from the pages of "The Unique Magazine." The remainder was the work of two men whose work was also published in Weird Tales, though their story for this book came from Strange Stories. The Mummy Walks Among Us is still available second hand, even after forty years of wandering from bookstore to bookshelf, from one reader to another. 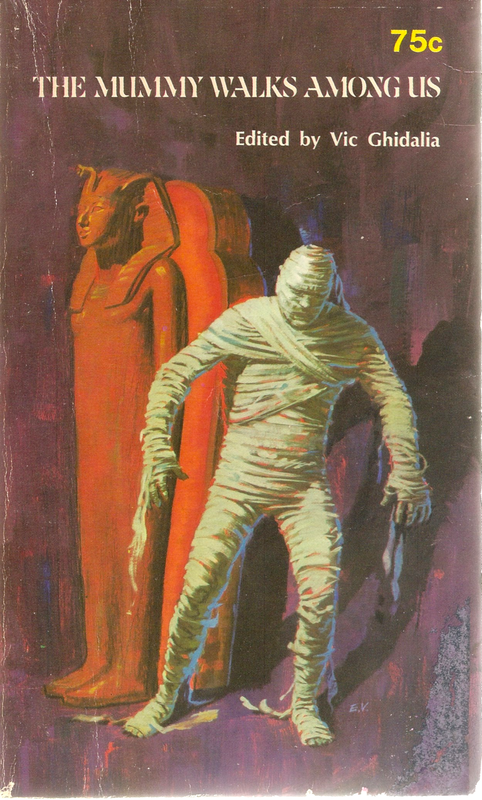 The Mummy Walks Among Us, edited by Vic Ghidalia. The cover art is by someone with the initials "E.V." Robert Bloch (1917-1994) was only a teenager when he began writing for Farnsworth Wright's Weird Tales. His first story for the magazine, "The Feast in the Abbey," was published in January 1935. Over the next seventeen years, Bloch would pen nearly seventy more stories for Weird Tales, in the process becoming one of the foremost writers of fantasy in America. His writing for Weird Tales also earned him entry into H.P. Lovecraft's circle, though only briefly. Like Robert E. Howard, Henry Kuttner, C.L. Moore, and other young writers, Bloch befriended and wrote letters to Lovecraft in his Providence home and emulated him in the pages of Weird Tales. Bloch was devastated when his mentor died in 1937. Forty years later, he revived Lovecraft's memory in a novel that--although it is included in tales of the Cthulhu Mythos--bears little resemblance to any that I know that preceded it. Bloch's novel is called Strange Eons (1978). His premise is that H.P. Lovecraft's work was not fiction but based on fact and that Lovecraft, as an investigator of the supernatural, wrote as a warning to humanity. In the novel's semi-documentary pages, Lovecraft becomes a historical figure and his collected works a sort-of grimoire revealing much about earth's secret history. (Bloch even includes himself in the story, though not by name.) In Bloch's hands, the Cthulhu Mythos is updated for the 1970s and comes to encompass a number of other mysterious and paranormal phenomena, including UFOs, the Bermuda Triangle, Easter Island, and parapsychology. Like Lovecraft's "Call of Cthulhu," Strange Eons culminates in a far-reaching (though government-sponsored) correlation of events and an ending to put an end to all stories of the Cthulhu Mythos. The cover art is by David Hada. 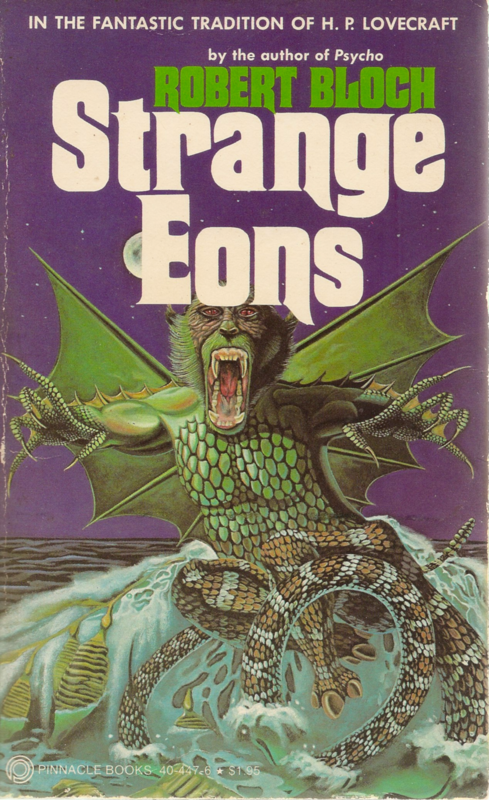 Incidentally, the cover of Strange Eons resembles Rowena Morrill's cover painting for The Dunwich Horror and Others by H.P. Lovecraft (1978). 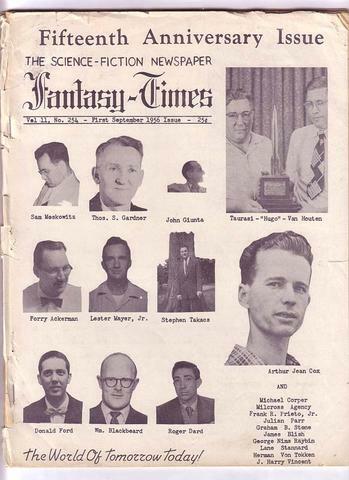 Digging through my archives, however, I found an old issue of Fantasy Times, with a picture of Bill on the cover, and also an article by him where he mentions the lamentable demise of WT and how "Dorothy McIlwraith steered the old magazine into uncharted reefs of the most unspeakable crud ever seen in print . . . ." [Causey's ellipses] I enclose copy of same for your interest. Sorry not to have had a more adventurous existence. Bottom line: For over 30 years have had the same wife, worked for the same company, and used the same golf putter. This should provide some clue to my massive and complex character. Fantasy Times #254 (September 1956) with tellers of weird tales Bill Blackbeard and Forrest J. Ackerman on the cover. In addition, John Giunta, pictured here, was an artist for "The Unique Magazine." Blackbeard's article, "SF and Fantasy, 1941-1956," appeared in this issue of Fantasy Times. It may be the same issue mentioned by Blackbeard's friend, Jim Causey, in Causey's letter to Randal Everts. Thanks again to Randal Everts for providing the letter from his collection. In the early sixties, I was fortunate enough to transfer to my company's aerospace division in Newport Beach, which permitted me to move from the Garden Grove smog belt to Laguna Beach, only a stone's throw away from work. (My wife and I both grew up in beach towns and love the ocean.) The house we bought had a little basement apartment, and Bill stayed with us for a few months. I remember him telling me what a great opportunity this was to do some serious writing. Bill's fiction output during this period was desultory, but his collecting mania intensified, if such a thing was possible. Soon he had the place filled floor to ceiling with moldering pulps. Tons of them. When I berated him for a magazine junkie, Bill looked bemused. "These are an investment," he said loftily. "These idiot booksellers don't realize the true value of their inventories." Conclusion in the next entry. Came home to the west coast after a year, bloody but unbowed. Bounced around at odd jobs, sold a little real estate, and when I got married in 1950 decided to get a steady job. Kept writing on the side, nothing sensational, sold a few stf and mystery shorts. A TV sale to Alfred Hitchcock from one of my Manhunt stories. Three original paperback mysteries to Gold Medal, Avon & Crest in the late fifties. So Bill and I each continued to follow our divergent destinies. He was still the compleat [sic] collector. Typically, he would quarter in one of those ancient, rambling frame gothics that lend a kind of updated Arkham flavor to the lees of Los Angeles. Whenever his vast collection threatened to tilt the house on its foundations, Bill would have to move, dragging tons of pulp treasure with him. An inveterate stf buff, Bill knew just about every fellow fan in the area and was a familiar sight at most of the stf/fantasy conventions. They all know him and love him. He is not, incidentally, a violent hirsute fellow as his name portends. Prematurely bald since his late teens, he is freckled, affable and articulate. Since nineteen he has looked forty. He will probably look the same at seventy. Weird Tales for January 1943, the issue in which James Causey's first story for the magazine, "The Statue," was published. The cover art is by A.R. Tilburne. Sorry about the lapse. Thought you had everything you needed. Thanks for sending a copy of Hammer of Cain. Very kind of you. My sketchy biography follows. Also a few data points on Bill Blackbeard. Born 1924, a typical depression child, omniverous [sic] devourer of pulp magazines during the thirties and early forties. 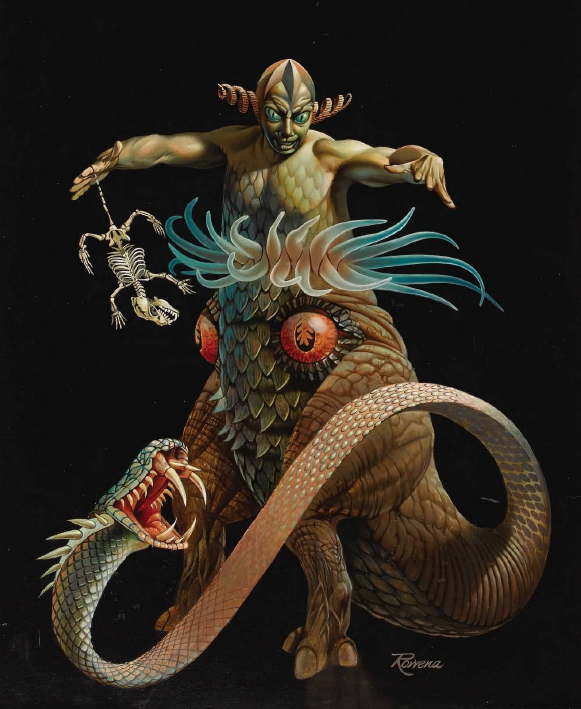 Liked heroic fantasy, read every Burroughs novel I could get my hands on, also the stf and fantasy mags, particularly WT [Weird Tales], Astounding, Wonder and Amazing. Later, Unknown, Bluebook, Argosy, Adventure, etc. Met Bill when I was 18, in a second hand bookstore. He was a year younger, a dedicated stf and comics fan and already had an impressive collection which included the old Big Little comic books, vintage Batman and Superman issues and other tomes destined to be rare and costly some day. Even then, Bill was an indefatiguable [sic] collector. I recall the day he discovered an ancient volume of Flaubert's Salambo! with horrific border illustrations by Beardsley. A first edition, which would be worth a packet today. Also Clark Ashton Smith's Ebony and Crystal, which Bill calmly expropriated from the library by the simple expedient of walking out with it under his coat. He had that ruthless verve possessed by all great bibliophiles, his youth notwithstanding. "Tut," he waved aside my remonstrations. "Some vile book merchant will steal it eventually. Better an appreciative chap like myself who will gloat over it by lamplight." Anyway, he knew I had sold a couple of shorts to WT and it turned out he was working on a story for WT called Hammer of Cain. It hit me right between the eyes and I immediately outlined a plot. He didn't see it that way. We kicked it around, could not agree on the same plot line and finally decided to each write our own version. Did so, and swore a blood oath that no matter whose tale sold, the story would forever be known to the world as a collaboration job. When I got drafted the following year, gave Bill my entire collection of Weirds, Unknowns and Stf. Felt I was grown up and it was time to put away the things of childhood. Besides, I had just sold a novelette to Daisy Bacon's Detective Story. She paid me two cents a word on acceptance, whereas WT paid only a cent a word on publication. I had also recently read Steve Fisher's Literary Roller Coaster which appeared in the 1941 Writer's Digest Yearbook and which must have inspired every pulp writer alive. I was determined to go to NY when I got out of the Army and be a full-time free-lance pulpateer. I was young and ambitious and full of plots and stuff and couldn't wait to attack the great pulp market. The few sales I had in the army only served to whet my appetite further. Joined the paratroops, but did not see combat duty. Remained stateside for the duration. Got out of the army in early '47, went to New York and dug in. Found a little pad in the upper Bronx, got a typewriter and began writing my guts out. My timing couldn't have been worse. 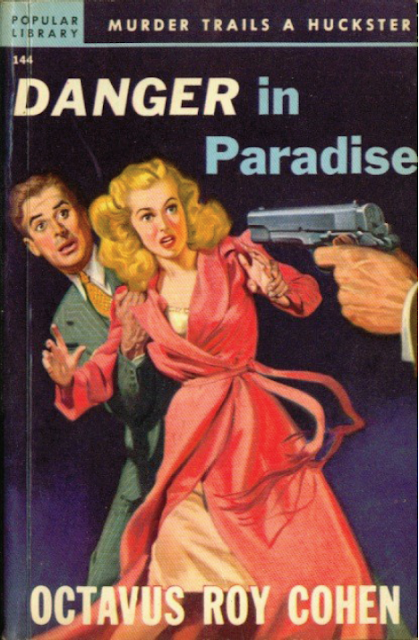 Although I sold a few mystery yarns that year, the pulps were dying. Only a few of the most talented writers made it during this period, guys like Roy Huggins and John D. MacDonald. 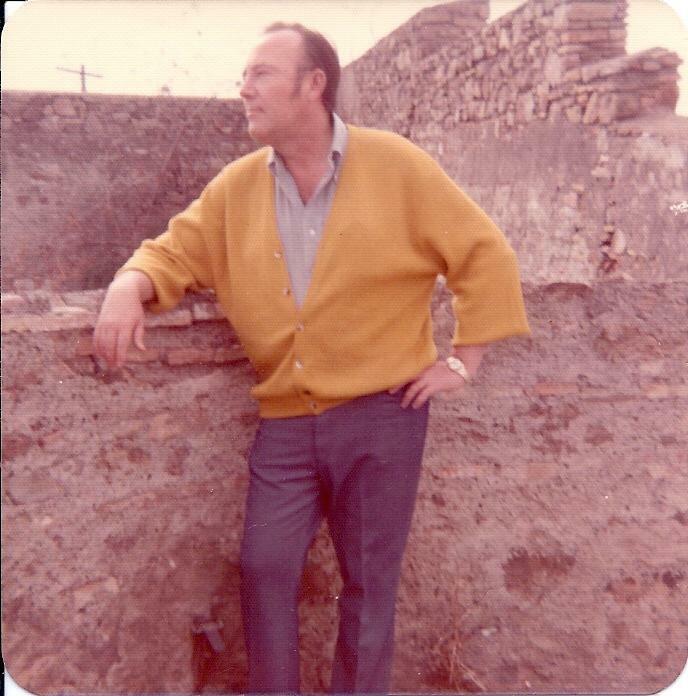 A photograph of Jim Causey, date unknown, but probably from the early to mid 1970s. From the collection of Randal Everts. Thanks for Randal Everts for providing a copy of the letter and the photograph. Artemus Calloway was one of a number of tellers of weird tales who wrote from Birmingham, Alabama. I have already posted entries on Jack Kytle (1906-1971) and Pettersen Marzoni (1886-1939). It's likely that they and Calloway crossed paths. Abram Artemus Calloway was born on October 1, 1883, in Pineapple, Alabama, and worked for the Birmingham Ledger and the Birmingham News as a reporter, author, and editor. 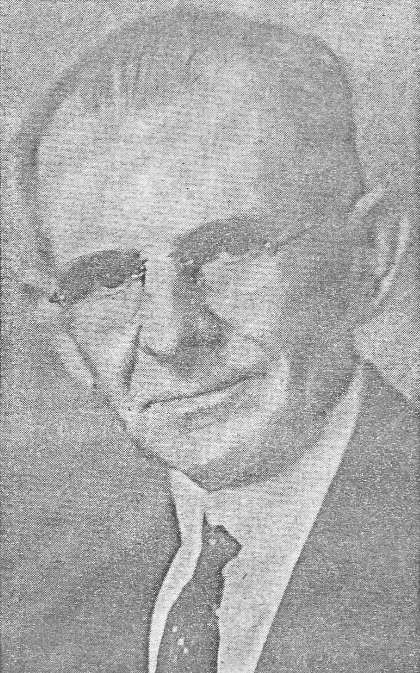 Author Octavus Roy Cohen (1891-1959) was on the staff of the Ledger as well for a short time. That may have been where he and Calloway met. In any case, Calloway served as Cohen's secretary despite being the older of the two men. Calloway also associated with Jack Bethea, James Saxon Childers, and Edgar Valentine Smith, all authors and all reporters for Birmingham newspapers. 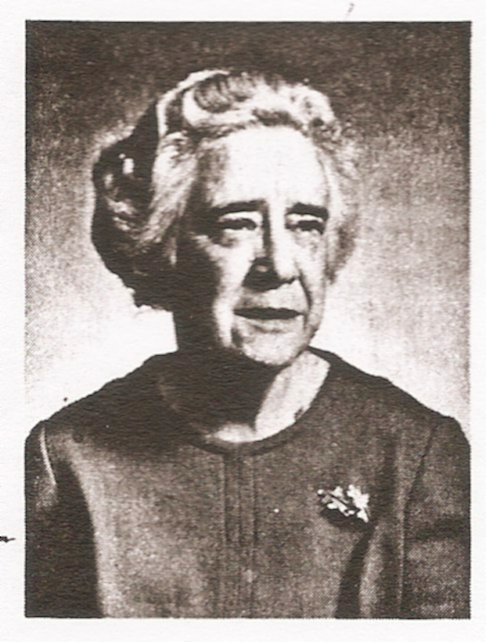 Another connection to a person of note: Calloway's wife, Effie Ball Calloway, was a charter member (in 1930) of the Southern States Communication Association. Calloway was the author of the book A.B.C. 's of Short Story Writing, published in Birmingham in 1932. He knew whereof he wrote, for Calloway authored about 400 short stories, serials, and novelettes for All-Story, Argosy, Chicago Tribune, Country Gentlemen, Cowboy Story Magazine, Everybody's Magazine, Holland's, Top-Notch, Triple-X, and many other magazines and newspapers. That number pales in comparison to the 3,000 stories he wrote for a bedtime feature in the Birmingham News. Of course Calloway also wrote for Weird Tales, though only once. His story was called "Jungle Death," and it appeared in the second issue of the magazine, dated April 1923. In 1931, Calloway started the Birmingham News-Age-Herald's short story department. In his capacity as editor and teacher, he encouraged and instructed young writers, and purchased their stories for weekly publication in his newspaper. 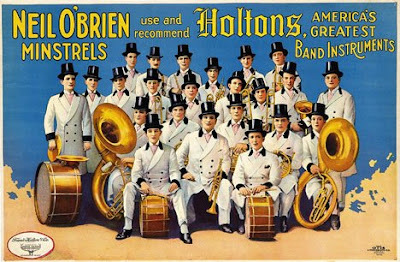 Calloway also wrote acts for the Neil O'Brien Minstrels for four years, worked in oratorical contests in his home state, and started a book exchange program for schools in Alabama. Ironically, he was a member of a group called the Loafers Club, established by Octavus Roy Cohen and active--as much as loafers can be active--in the 1920s. Abram A. Calloway died on April 7, 1948, in Jefferson County, Alabama. He was sixty-four years old. Artemus Calloway's A.B.C. 's of Short Story Writing was recently listed on Ebay. Evidently there are still copies of the book floating around out there. There is plenty of material for an expanded biography of Calloway and his circle. A place to start might be "'The Loafers' in Birmingham in the Twenties," by John W. Bloomer, in The Alabama Review, April 1977 (Vol. 30, No. 2). A search of vertical files or newspaper microfilms in Birmingham libraries would probably turn up plenty of information, too. Again, a place to start: an article in the Birmingham News-Age-Herald, dated June 4, 1939. An advertisement for Holtons Band Instruments featuring Neil O'Brien's Minstrels. Artemus Calloway wrote feature acts for the minstrel show for four years of his very prolific writing career. Danger in Paradise by Octavus Roy Cohen, a fellow newspaperman in Birmingham and a successful author of crime novels. I'm afraid I don't know the name of the cover artist. Weird Tales, "The Unique Magazine," April 1923. Artemus Calloway's story, "Jungle Death," appeared in this issue. The cover artist was R.M. Mally. Thanks to Randal Everts for the photograph of and other information on Artemus Calloway. Edith Hurley's life encompassed almost the entire twentieth century and in that time she accomplished more than most. Despite her talents, she was content to remain in her own community, caring for her cats, feeding wild birds, writing poetry and plays, and adhering to her strong Christian faith. She was the kind of figure that is becoming increasingly rare in our own century, for Edith Hurley was a pillar of her community and active in every aspect, in business, her church, the arts, and society. Edith Elizabeth Selwyn Hurley was born on December 23, 1903, in Roanoke, Virginia, but she spent most of her life in West Virginia. She graduated from Bramwell High School in Bramwell, West Virginia, and picked up her business training at the Nashville Business College in Nashville, Tennessee. She graduated in 1921 and worked for a number of law firms in Welch, West Virginia, finally to retire in 1981. According to Margaret Stacks, Edith's writing career flourished during the 1930s and '40s. She was among six West Virginians included in the collection American Women Poets of 1937. Her verse was published in newspapers in Welch, Bluefield, Huntington, Charleston, and Wheeling, all in her home state of West Virginia. About thirty of her poems saw print in the West Virginia Review. Others were published in small poetry magazines. More prominently, Edith's verse appeared in Contemporary American Women Poets, The Rotarian, and the New York Times. She continued writing poetry even in the nursing home. Edith Hurley wrote five poems for Weird Tales, all published between 1929 and 1940, placing her in the top tiers of poets in terms of number of contributions. Despite her standing in her community and her strong religious faith (and despite the morbid titles of her poems), she was unashamed of her work for Weird Tales. The forward of her collection of poems, Faint Echo, published in 1977, lists a number of publications that printed her poetry. Weird Tales was one of them. I take that as evidence of the literary and cultural standing of Weird Tales among writers who might not otherwise have contributed to a magazine of fantasy. Edith Hurley's plays, "A More Perfect Union" (1964) and "We the People" (1965), won her awards from the Freedoms Foundation of Valley Forge. She also won the West Virginia D.A.R. Society Certificate of Award in 1964 for "A More Perfect Union." Her play, "The Sequel on Ratification," won her first place in the Fine Arts Department of the West Virginia Federation of Women's Clubs. She also wrote a play entitled "Liberty and Justice for All." A candid, courageous woman with an independence of spirit and a keen intellect, she set her own pattern of life, shaped her principles, and became an articulate champion of the eternal verities she honored and the causes she espoused. A largely self-taught scholar, Edith was knowledgeable in art, music (especially opera), history, language, literature, and nature. She was very active in her church, serving as secretary, historian, and Bible moderator. She was also active in clubs and other social and civic groups. She was named Welch Chamber of Commerce Woman of the Year in 1966 and was an honorary member of Phi Chapter of Delta Kappa Gamma Society International for women educators. 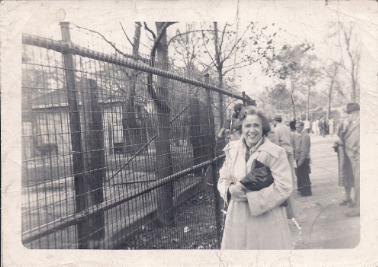 Everyone who knew her remarks upon her love of cats, birds, and other of God's creatures. After a very long, active, and remarkable life, Edith S. Hurley died on April 16, 1997, in Welch, West Virginia. She was 93 years old. The best chance anyone has of reading about Edith Hurley or reading her works is probably to find a copy of her book, Faint Echo (1977). 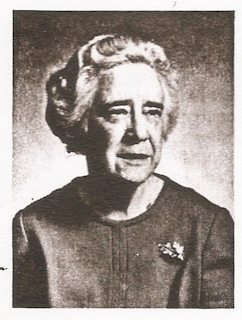 Edith Elizabeth Selwyn Hurley in a snapshot from the 1940s, from the collection of Randal Everts. Poet and playwright Edith S. Hurley (1903-1997). Thanks to Eleanor Beckner at the McDowell Public Library in Welch, West Virginia, for her invaluable information on Edith Hurley. Thanks to Randal Everts for providing Edith's middle name and a snapshot photo. WEIRD TALES will pay ten dollars apiece for true psychic experiences. Have you ever slept in a haunted house, or been chased by a ghost? Have you ever dreamed a dream that came true? Has your life been changed by a vision? Let the other readers of WEIRD TALES know about your weird experience. Your story must be briefly told, in not more than a thousand words: the shorter the better. It must be true, interesting, and must deal with the supernatural. Write it down today and send it to WEIRD TALES, "It Happened to Me" department, 9 Rockefeller Plaza, New York, N.Y. We will pay ten dollars for every one used. I have written about Jack Kytle and Ralph Rayburn Phillips, but I haven't been able to find information about the other nine writers for the series. If anyone knows anything about them, please send some information my way. "A Weird Prophecy," "Winter Night," and "San Francisco" were reprinted in Weird Tales, a facsimile collection edited by Peter Haining (Carroll and Graf Publishers, 1990). Ken Gary's tale involves a premonition of the author's death by a gunshot wound. Weird Tales sent him a check in payment for it, but the check was returned. In "Calling Ken Gary," an article published soon afterward, the magazine wondered about his whereabouts and fate. Ken Gary was last known to have lived in Bradenton or Tampa, Florida. "Winter Night," by Alice Olsen, is a variation on a well known folk tale or urban legend, the "girl in white" story. Finally, "San Francisco" is a brief account of astral projection. "Symphony in White, No. 1: The White Girl," by the American painter James Abbott McNeill Whistler, because a picture of a girl in white seems right for a story about a girl in white. Ralph Rayburn Phillips lived the life of a Bohemian artist. "I learned early to hate hopeless conformity," he said, and he did anything but conform to the norms of society. Tall and slender with a thick shock of dark hair and a dark mustache, he lived in an eight-by-ten room in a Portland mansion, adhered to Buddhism (for a while at least), attended science fiction conventions, associated with Forteans, and drew pictures for science fiction and fantasy magazines or "fanzines." 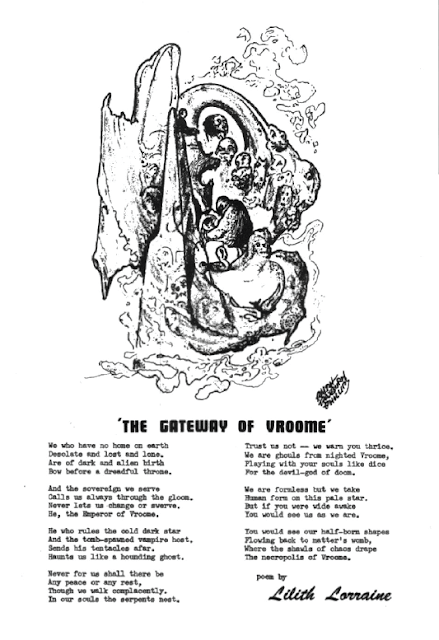 He enjoyed poetry--his sister, Iris Barrie, was a poet--and illustrated what some claim was the first poetry magazine devoted to a single genre: Challenge, a magazine of science fiction and fantasy verse. Phillips was born on October 17, 1896, in Rutland, Vermont, the son of a dentist and physician. In about 1914, the family moved to Portland, Oregon, where Mr. Phillips sold farm implements. Ralph Rayburn Phillips studied art in high school and attended the School of Applied Art in Battle Creek, Michigan. At the time he filled out his draft card during World War I, he was living in a hotel in Los Angeles. By 1920, he was back in Portland and working as a commercial artist. Phillips contributed to a number of publications, including Northwest Background, Fantasy Advertiser, Destiny: Tales of Science-Fantasy, Challenge (which was founded and edited by Lilith Lorraine), Fantastic Worlds, Quandry, The Fanscient, Nekromanticon, Shanadu: A Collection of Fantasy, and Weirdbook One. Describing himself as "representative and a modernist," Phillips created weird and surrealistic drawings and paintings, influenced perhaps by Salvador Dali, Giorgio de Chirico, and Phillips' fellow fantasy artists. He may have influenced in turn artists who came after him. In any case, his vision was his own and his work highly original. In the 1930 census and despite his aversion to conformity, Phillips gave his occupation as an organizer and salesman for a fraternal order. (Even slender Bohemian artists must eat.) It must have been a great day in his life when he discovered science fiction fandom, an outgrowth of the science fiction pulp magazines of the late twenties and early thirties. Phillips drew cover and interior illustrations for a number of fan magazines and attended science fiction conventions in Los Angeles in 1946 and Philadelphia in 1947. He was also involved in interests along the fringes of science fiction and fantasy, including Buddhism, the occult, and Fortean studies. 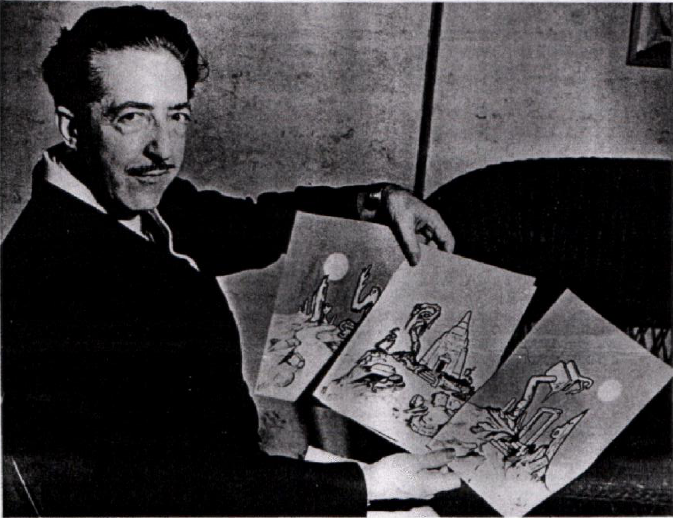 His work for Weird Tales included several letters written between 1927 and 1940 and an installment in the series "It Happened to Me" in March 1941. His entry in the series, "The Egyptian Cross," was the second-to-last and betrayed his interest in Egypt and the Orient. In later years, Phillips became a character in the Portland city scene. Always barefoot, he would sit in the park, puff on his pipe, and read from a book of poetry. His lifestyle seems to have agreed with him, for Phillips lived to age seventy-nine. He died on July 17, 1974, in Portland. You can read more about Ralph Rayburn Phillips at a blog called "From an Oblique Angle" here. Also, Manly Banister wrote a profile of Phillips for the science fiction fanzine Destiny #8 (Spring 1953), thankfully now scanned and available on the Internet as all early fanzines should be. You'll find the article on the website "Fanac Fan History Project" here. 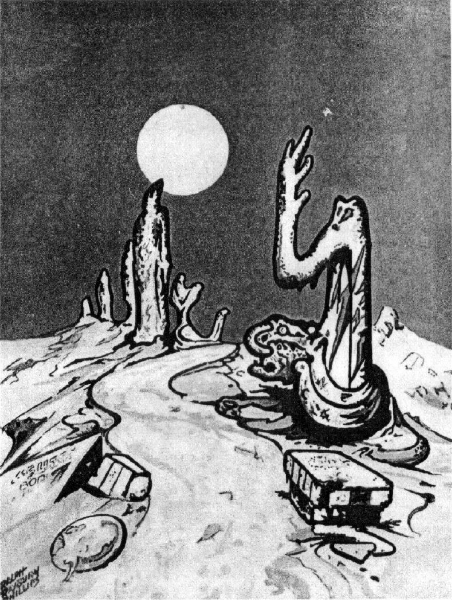 Artist and writer Ralph Rayburn Phillips (1896-1974) from the fanzine Destiny #8 (Spring 1953). Perhaps influenced by Salvador Dali, he even looks something like the Spanish surrealist in this photo. 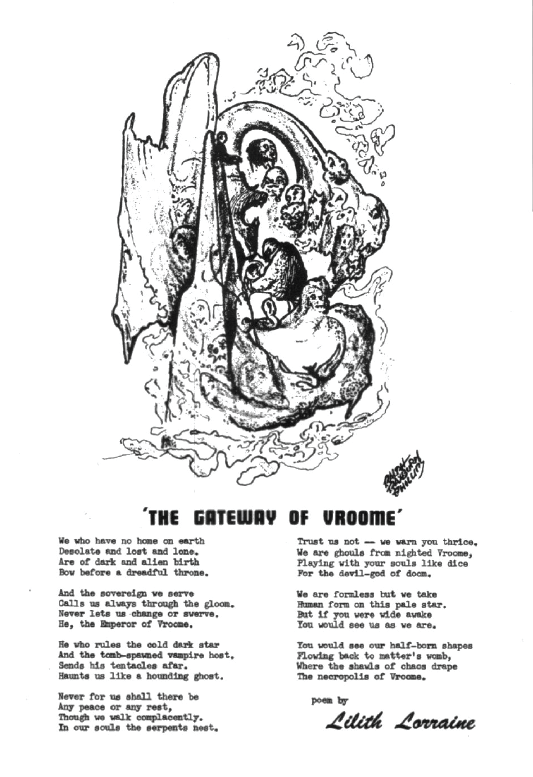 Phillips' illustration for "The Gateway of Vroome" by Lilith Lorraine, from Destiny #8 (Spring 1953). An untitled work by Ralph Rayburn Phillips. This may have been a work in color. Note that it appears in the portrait photograph above. 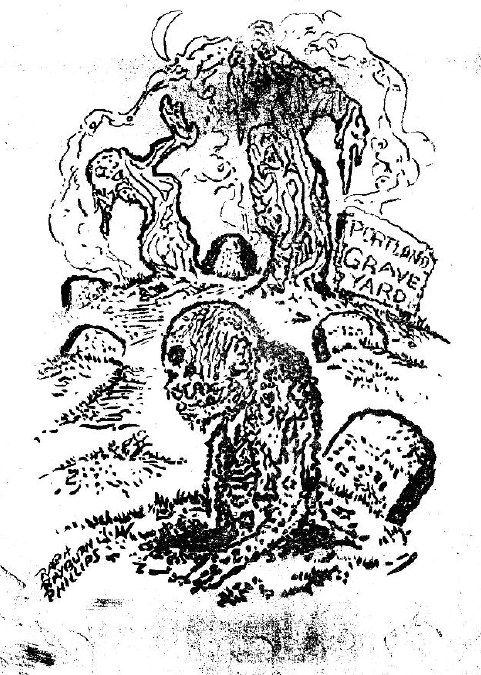 Finally, "Portland Graveyard," from Quandry #4 (November 1950). 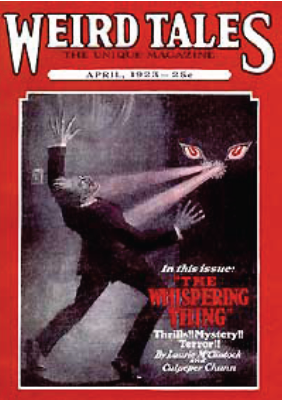 In its March 1940 issue, the last under the editorship of Farnsworth Wright, Weird Tales began a new feature called "It Happened To Me." According to T.G.L. Cockcroft's Index to the Weird Fiction Magazines (1962), there were eleven installments in the series, each written by a different author and each an ostensibly true account of a psychic or supernatural experience. Dorothy McIlwraith's detractors point to "It Happened To Me" as evidence of "The Unique Magazine's" decline following Wright's departure. After all, the new series could be considered not much more than a confessional, the hallmark of the "true" magazines. Whatever the case, "It Happened To Me" lasted just a year and a half and its eleven installments appeared in just seven issues of Weird Tales (March 1940 to November 1941). As a "true" feature, it was overlapped and succeeded by Irwin J. Weill's "Superstitions and Taboos" (November 1940 to May 1947). Jack Kytle wrote one installment in the series "It Happened To Me." Entitled "They Lynched Him, and Then--" it appeared in the September 1940 issue of the magazine as the eighth in the series. Whereas the previous two issues had carried three installments each, Kytle's story stood alone. Kytle may have known something about lynching. As a journalist covering events in his native Alabama, he may even have witnessed or reported on the crime. "They Lynched Him, and Then--" was published at a time when lynching in America was still commonplace and just one year after Billie Holiday's version of "Strange Fruit" reached its highest point on the pop music charts. Elvyn Jackson Kytle was born on October 22, 1906, in Wilsonville, Alabama. As a child, he lived with his family in Talladega, Alabama, and Tallapoosa, Georgia. He was a sportswriter in Atlanta and a writer and copy editor for the Birmingham Age-Herald, Birmingham Post, and Birmingham Post-Herald. Kytle also wrote a column, "Byways of Birmingham," for five years for the Post. In fact, he was a jack-of-all-trades as a writer. His work appeared in the Milwaukee Journal, The Christian Science Monitor, The Message Magazine, and several western pulp titles, including Texas Rangers, Giant Western, Ranch Romances, and Triple Western between 1953 and 1960. During the 1930s, Kytle was on the editorial staff of the Alabama Writers' Project under the Works Progress Administration (WPA). Kytle and his co-editor, Luther Clark, were responsible for Alabama: A Guide to the Deep South (1941), part of the renowned American Guide Series. Kytle also wrote Fish Are Fighters in Alabama, illustrated by William H. Bunce and published by the Alabama Department of Conservation in 1941. In the course of his work for the WPA, Kytle interviewed workmen, river men, convicts, former slaves, and other denizens of the pre-war South. His work has been published most recently in Up Before Daylight: Life Histories from the Alabama Writers' Project, 1938-1939 by James Seay Brown (1997) and The Food of a Younger Land by Mark Kurlansky (2009). Kurlansky's book is available on Google Books. Kytle served in the U.S. Army in New Guinea and the Philippines during World War II. For more than twenty years, he worked for Alabama newspapers, and he was a freelance writer. His last residence was in Homewood, Alabama, adjacent to Birmingham. Jack Kytle died on March 5, 1971. He was just 64 years old. "They Lynched Him, and Then--"
Books by James Seay Brown and Mark Kurlansky, mentioned above, include some of Kytle's work. 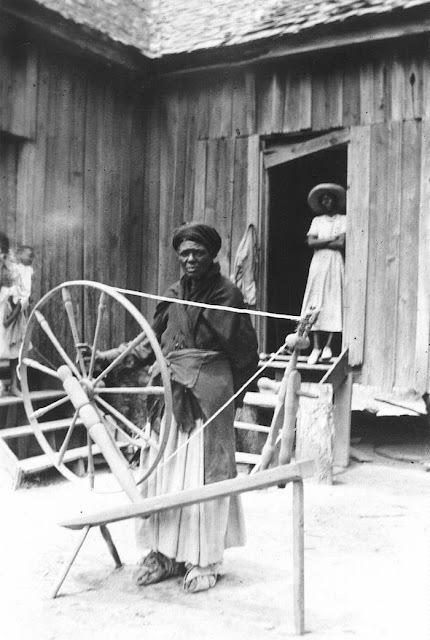 "Lucindy Jurdon, former slave from Georgia," with her mother's spinning wheel. Photograph possibly by Preston Klein and Jack Kytle, ca. 1938, from the website of George Washington University. Jack Kytle worked for the WPA during the Great Depression, traveling in the South and interviewing former slaves, laborers, and others. 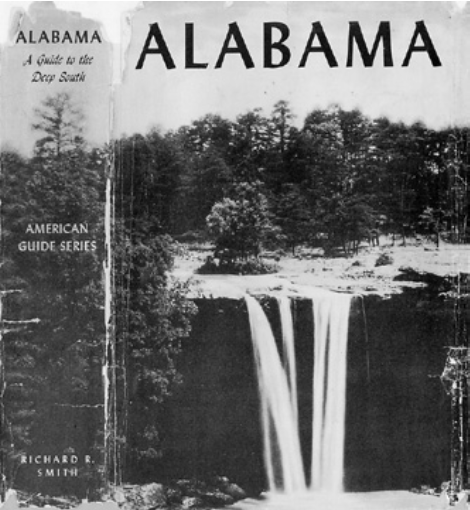 One result of his work for the WPA was the book Alabama: A Guide to the Deep South, co-edited by Luther Clark. Thanks to Jiemin Fan at the Birmingham Public Library, Birmingham, Alabama, for finding Jack Kytle's obituary. Thanks also to Randal Everts for providing Kytle's full middle name.